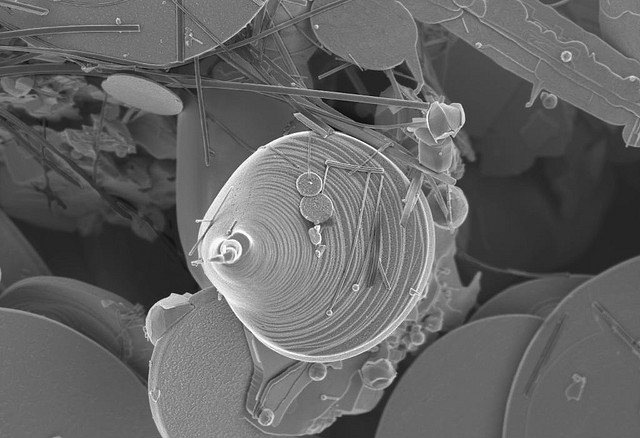 Tin oxide, viewed through an electron microscope. Science needs to overcome the negativity caused by excessively managerialist justifications of its value. Last week, acting in my role as a priest at St. Mary the Virgin Primrose Hill, I introduced Tom McLeish as a guest speaker at a fund raising event. Tom is a polymer Physicist and Pro-Vice Chancellor for research at Durham University. He is also a Lay Reader in the Church of England and has just published a book entitled Faith and Wisdom in Science. Demonstrating an impressive breadth of knowledge, he makes a strong case for both science and theology being disciplines that share, if not the same methods, then at least a fascination with questions concerning the physical world, its structures and processes. The result is a genuinely fresh and positive contribution to the mostly (by now) tedious and sterile science/religion debate. As an arts graduate, I’m well aware of how the humanities have long been afflicted by the loss of “metanarrative” so celebrated by “post-modern” theorists and which – in my view at least – leads to artistic output that is often as pointless as it is self-referential. That there is such a crisis in science had never occurred to me, which makes me realise how much I’d fallen (unconsciously) for the lazy assumption that science is somehow, of its essence, a “value-free” activity, as if any such activity is ever possible. For those familiar with the Vogel Wakefield blog, we are back with our old friend managerialism, that reductionist creed that views human activity as meaningful only in so far as it can be measured to the end of creating yet more material wealth. The reason why this matters is that science plays such a dominant role – in advanced, industrial economies at least – in mediating our relationship with the natural world. If science operates according to managerialist principles and is not guided by anything nobler, then it is inevitably locked into an exploitative relationship with nature. Tom McLeish argues that unless these underlying narratives are acknowledged, meaningful public debate is impossible. But much more needs to happen than that. As he self-deprecatingly admits, scientists are often not the most effective communicators and certainly not when faced with critics voicing the kind of visceral concerns contained in the five narratives. Needless to say, as Tom McLeish acknowledges, there is no prospect of Christianity or any faith (be it theistic or otherwise) alone providing a positive narrative underpinning for science. But as he argues, the need for such a narrative is urgent. Given the resources that already exist, such as those of his own tradition, it can’t be beyond us to come together to create such a narrative. The future of our planet is likely to depend on our recovery of a sense of meaning and purpose in science, as in other fields of endeavour.